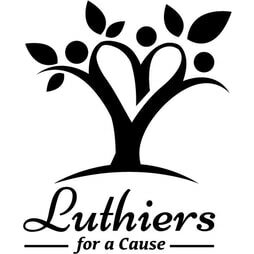 Luthiers for a Cause | Ukulele Kids Club Inc.
LOS ANGELES, CA – Six of the world’s most distinguished instrument builders have come together to showcase their unique building approaches and to make a lasting difference in the lives of sick children. Each luthier will build a tenor ukulele out of wood sourced from two trees that are legendary among acoustic guitar and ukulele enthusiasts. All of the proceeds from the sale of the instruments will go to benefit The Ukulele Kids Club, a 501(c)3 non-profit whose mission is to harness the healing power of music by sending hospitalized children home with the gift of music for life. Follow project developments and learn more about The Ukulele Kids Club at the Luthiers for a Cause website (www.luthiersforacause.org). You can also visit the Ukulele Kids Club at www.theukc.org.